I'm using the free version of resilio sync to sync two pcs at home, both Windows 10. It worked great for about a week. Now it crashes about 10-20 seconds after opening it on one of the computers. I've tried uninstall-windows restart-reinstall, which didn't work. Any other ideas? Does it help hitting "send bug report to developers" ten times before I give up or is this just annoying? 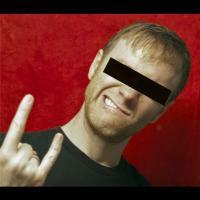 Was going to attach a dmp file to this post but it's +3MB (only 0.5 allowed). Any ideas or recommended procedures? Thanks! Btw, posts from people having similar problems seem quite a while ago - reinstalling the program seemed to have worked for them. I have the same problem, sync keeps crashing on one of my PCs But i dont get nothing more than general dialog saying "Cannot generate crash dump, reason unknown..."
Hi Alex, thanks a lot for your message. Will do so. Thanks a lot Resilio. Support just provided me with a new .exe file (version 2.6.10039), which fixes the problem So if someone else has the same issue, contact support - well, assuming the official download exe will include those fixes soon, too. Very impressed by your service, especially considering I'm using the free version only. Kudos! Will recommend Resilio where I can. A friend with whom I'm sharing a folder has resilio sync installed on a macbook air for some time. 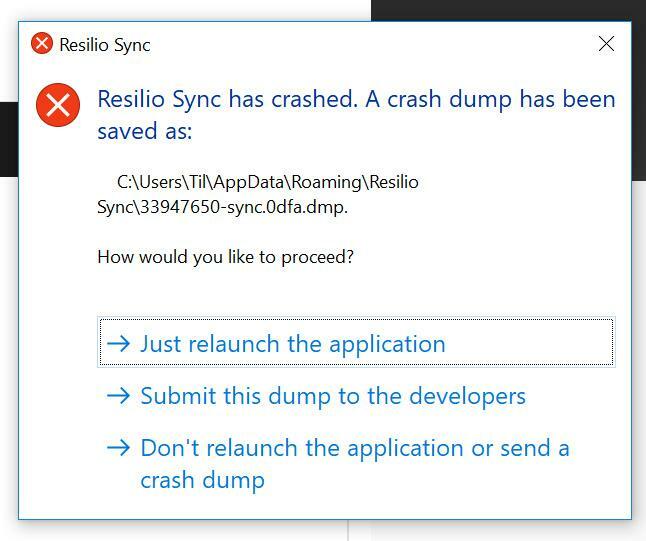 Last Friday, she stopped being able to open resilio sync app, 2.6.3 version. It crashes immediately after it starts loading. She asked me to help her out, and I tried uninstalling and re-installing resilio latest version, but it didn't solve the issue. She had already tried a previous version, but no success there either. Then, I uninstalled the antivirus (avast) and flash player but still I couldn't make it work. Any ideas on how to sort this out would be welcome. Thanks!